The principal and staff at West Lakes Academy have been selected for top roles supporting schools in challenging circumstances and training new teachers. West Lakes Academy principal and chief executive, Jonathan Johnson is one of more than 75 headteachers to be appointed to the role of national leader of education in the latest recruitment round. National leaders of education along with staff in their school – appointed as national support schools – use their knowledge and experience to provide additional leadership capability in other schools in need of support. West Lakes Academy is also one of over 65 schools that has been selected to become a national teaching school in the latest recruitment round, taking a leading role in recruiting and training new entrants to the profession. Introduced in 2011, teaching schools are excellent schools that work with partner schools in an alliance to provide high quality school-led initial teacher training and professional development opportunities for teachers at all stages of their career. 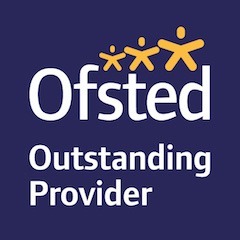 They raise standards through supporting other schools, especially those in challenging circumstances, and ensure that the most talented school leaders are spotted and supported to become successful headteachers.